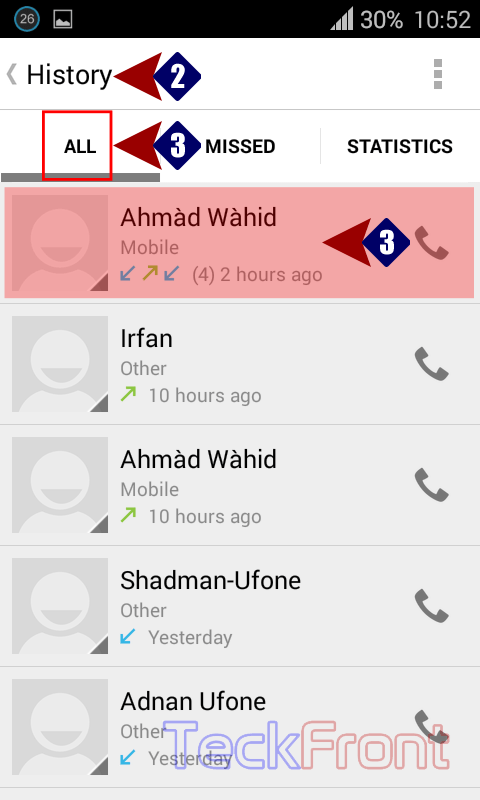 How to See Call Details for Individual Numbers in Android KitKat 4.4.2? Sometimes, you feel need to analyze a specific callers’ number and the data related to them, such as, number of call, incoming and outgoing call, missed calls, duration of each call etc. 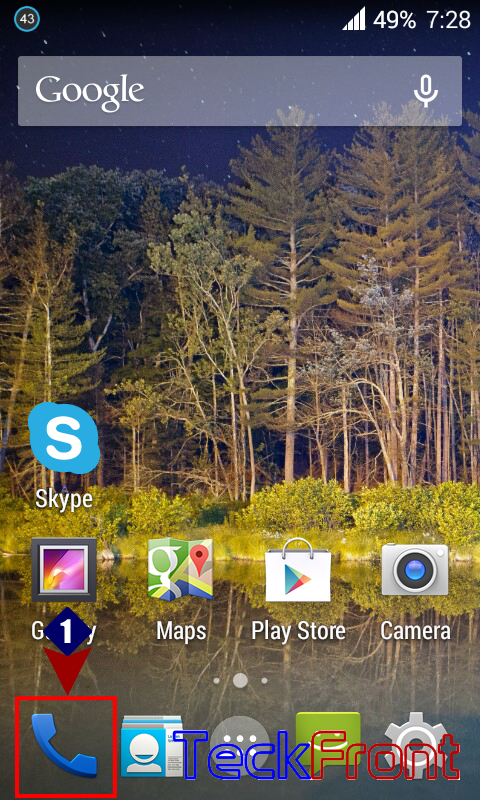 It is easy in Android KitKat 4.4.2 phone. Command Line: Phone Dialer > History > ALL / STATISTICS > Call details. 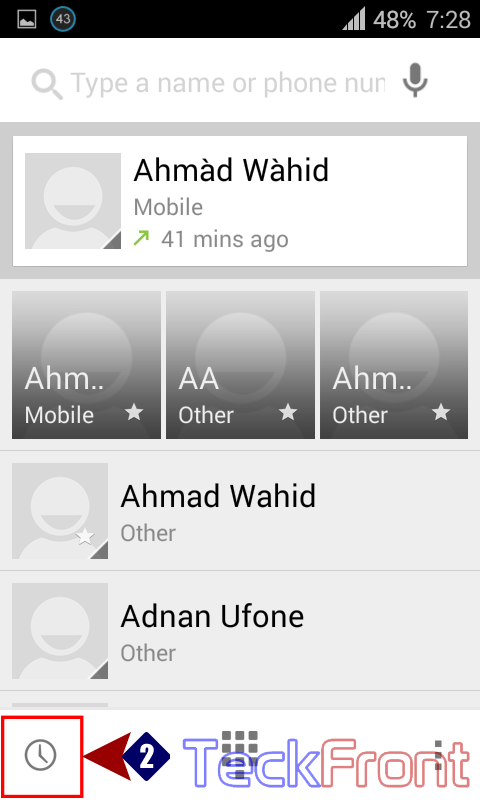 1: Tap the ‘Phone Dialer’ to open the phone dialer screen of Android KitKat 4.4.2 phone. 2: Tap ‘History’, available at the bottom left corner of the phone dialer screen. 3: If you want to see the latest record, it is available under the ‘ALL’. Tap the individual contact / caller number. 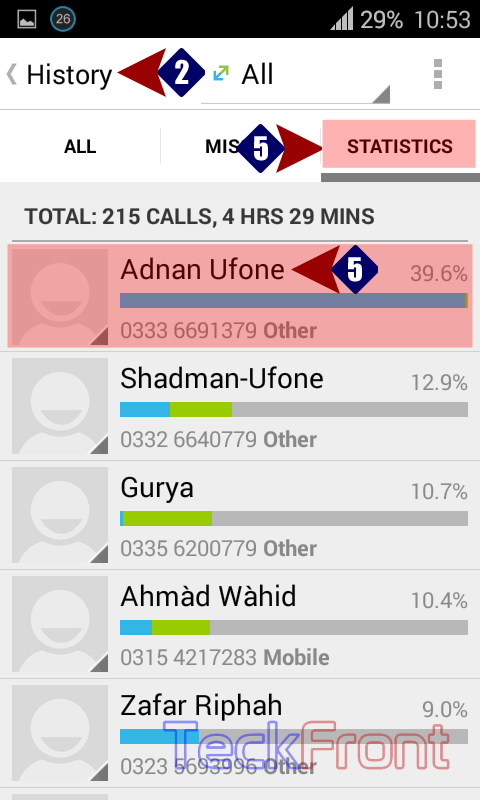 4: See the individual ‘Call details’ will open up on the call details screen. 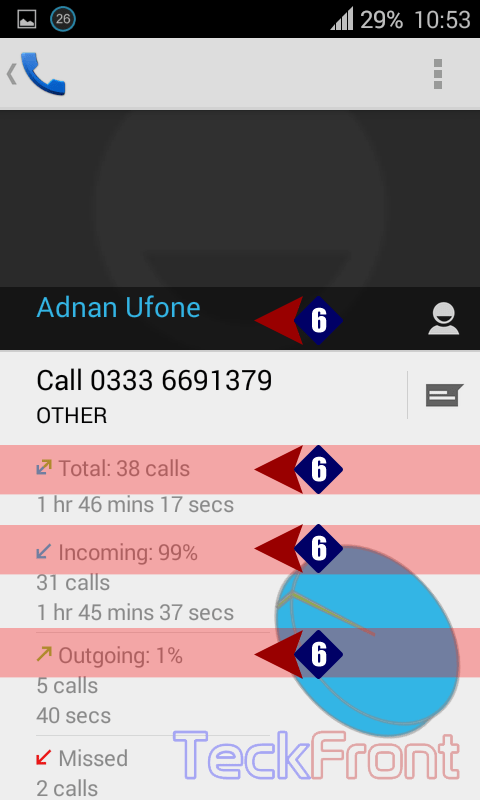 Here, see the latest record of incoming and outgoing calls including the time and date of the call and minute details such as call duration in minutes and seconds is given. 5: If you want to see historical data, available in the Android KitKat phone as statistics, tap the STATISTIC on the ‘History’ screen to open up the detailed records. Alternatively, you may swipe the default screen with the help of your finger to the left and the details data will come before. Here, data is sorted by ascending order, i.e. highest record will come at the top. Total time consumed in each type of call – in hours, minutes and seconds. Newer How to Delete all Threaded Messages in Android KitKat 4.4.2 Phone? 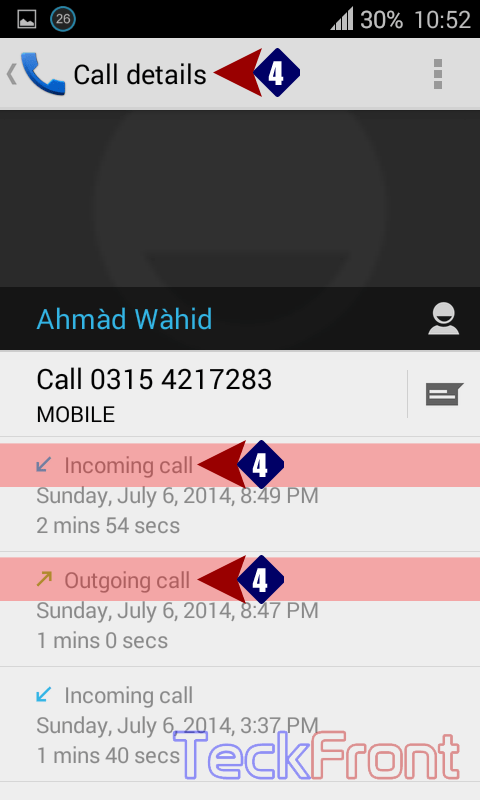 Older How to Clear Call Log in Android KitKat 4.4.2 Phone?